Pokémon Sun and Moon: Now in Ultra Flavour! Generation 7 is upon us, rejoice! As you can see from this image, something (cue jaws main theme!) is coming 2016 in the main series, the best bit? This can provide some nice speculation due to its ambiguity! There are some good reasons why this could be sequels to X and Y, Black and White 2 may give gamefreak incentive to stick to actual sequels from now on given the minimal work they require coupled with the ability to force more people to buy both the originals and the sequels given the new stories, unlike the third versions of old. Alas there are also good reasons these may have something to do with Kanto, including the obvious anniversary of both the franchise and the region itself, and the fact that there has been a version of Kanto on every single handheld, naturally if they're going to do that with the 3ds they need to act very soon given the 3ds is going to be replaced sooner rather than later, by the NX or something else. Next, the seventh generation theory. Black and white killed the concept of a generation per portable (although they did feel like complete filler). This one holds the least water in my opinion, solely because we're not actually done with this generation from a merchandise point of view. Normally the event pokemon tie in with the yearly movies, and Volcanion has yet to be released in any form. This symbiotic relationship has staid true for the most part and is not likely to diverge, in my opinion. Of course, I could be wrong given X and Y's blatant hints of another region. Finally we come to the third version theory. This relates to Zygarde, who is so very clearly getting another form (and some strange ghost snake thing) going by promotional material for the next movie. That said, Zygarde getting a new form doesn't exclude there being a sequel instead, Kyurem looked for all the world like it was going to merge with Zekrom and Reshiram and become a complete being like it was in the games own lore, and instead got those bizarre Black and White formes. Zygarde could easily get the same treatment, or alternatively the sequel may be a single game rather than a split version. So, a lot to mull over, plenty of room for speculation and discussion. The only thing clear: new main instalments are set for 2016. The Pokemon addict in me says bring it on! Minor disclaimer: Pokken got a thread on less than this, and this is inevitable regardless. Just pointing it out friendly like. Hang on, hang on. Discussion about Pokémon on the Wii U got a thread, based on a screenshot that turned out to be about Pokken. Let's not compare the two here. No sooner do I do a bunch of pointless theorying does all of it get shot to pieces with the leak of images revealing two new Zygarde forms, and the anime at least heading in to Z territory. Now for the all important formes themselves. Interesting things of note: Zygarde's forms are "Core" (the blob), 10% (the hound), 50% (the form we all know and love), and the new big form "Perfect" form. Also retains Dragon/Ground (LAME, we already have two of those, give us a Dragon type that doesn't already have a top tier Mon gamefreak!) typing. At this point, they should just add a couple of numbers to the Pokédex and make them evolutions. "10% form" hell it is. Also Zygarde has never resembled a dog and I don't know where they got the dog idea from and they're bad and they should feel bad. Also one perfect form pretty much scotches the chance of there being a two-game sequel (like B2W2) and confirms Z (further). 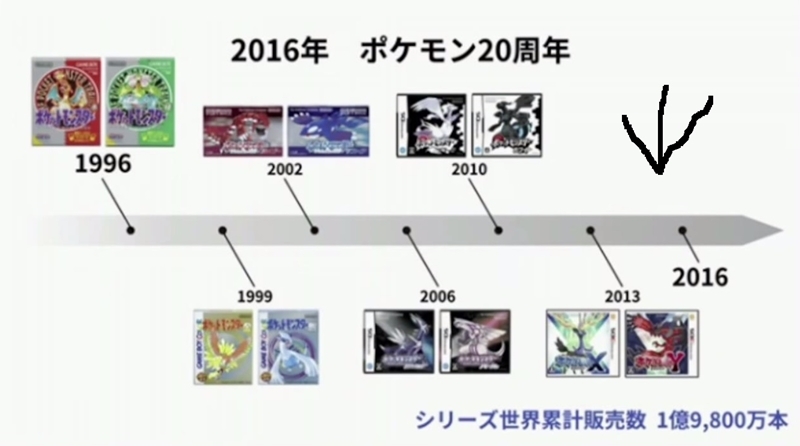 I liked Black 2 & White 2 and so was really hoping for X2 and Y2; this is looking less likely as the days go by. I'm very unlikely to buy a Z, but a Y2 would be very welcome on the Zero shelf. What's the effective difference, Zero? We don't yet know whether Z will be a sequel or not. B2W2 allowed me to justify buying the 'opposite' version in a generation; the third versions of the past have been (I think) hybrids of the two previous games and don't hold the same appeal. Maybe it's a play on Zygarde's role in the mythos of Kalos and based on another mythological being? Its supposed to be a judge and on patrol for enemies of nature, a dog is a known guard and there are various mythological canines as well. Certainly a canine form would allow it to move around a lot easier and quietly than a gigantic serpent from hell or a gundam. Personally I feel it's a bit early to be calling it stupid, aesthetically it looks fine and until we know what its role is there's nothing to blast on that front either. On the subject of third version vs sequel, it could be either at this stage, but if it is a third version I have a feeling it's going to be very different to X and Y's story, to the point it could easily be a sequel in the amount of changes it brings. Zygarde looks like any involvement in the story will force major changes to it, each third version has brought larger alterations to the story than the last, and Zygarde by the very little we know of its lore and can glean from its Perfect Form's image has immense potential to alter things. That's Megatron. Why's Megatron in a Pokemon game? Did you see that also there was a picture of a new Greninja form in the same mag. Now watch me run this already tired joke in to the ground so far it shoots out the other side of the planet and enters orbit. Oh, and the Greninja thing. Forgot about that. Honestly I don't think it'll be that big, I've seen a few of the yt'ers I follow say their thoughts on it and Shofu summed it up best: probably just a alternate colour scheme because of Protean and hanging with Ash too long. Could be wrong, but I reckon it's going to be this gen's Notch Eared Pichu or something. I'm happy to reverse if they provide a reason for the doggyness, but Zygarde's other forms seem to point towards pupation: a tiny caterpillar-type thing, then a semi-chrysalis, then a final form. The dog doesn't fit in the chain. Still, I'm up for a Z. Even if Go is infinitely more exciting to me. Even if Go is infinitely more exciting to me. Pokemon Shuffle >>>>>>>> Pokemon Go! Just needed to immaturely put that out there. Well some new info has come out regarding Zygarde's new forms. First off we have Zygarde Cell, this is the smallest form and is questioned by scientists as to whether it really constitues as a Pokemon. Zygarde Cells are spread across all of Kalos. Then there's Zygarde Core, this is exactly what the name suggests and forms the core of a Zygarde's brain. The explanation of this one was a bit vague and made it sound like there could be more than one of these things as it mentioned that it can communicate with other cores telepathically. Zygarde Core attracts the previously mentioned Zygarde Cells depending on how threatened it feels the enviroment is, and grows in to different forms depending on how many Cells it gathers. Zygarde 10% Forme, the previously named dog form. Pretty much what its name describes, this is Zygarde with 10 percent of its power from gathering its cells. Zygarde 50% Forme, same as the dog only with a 5 instead of a 1. 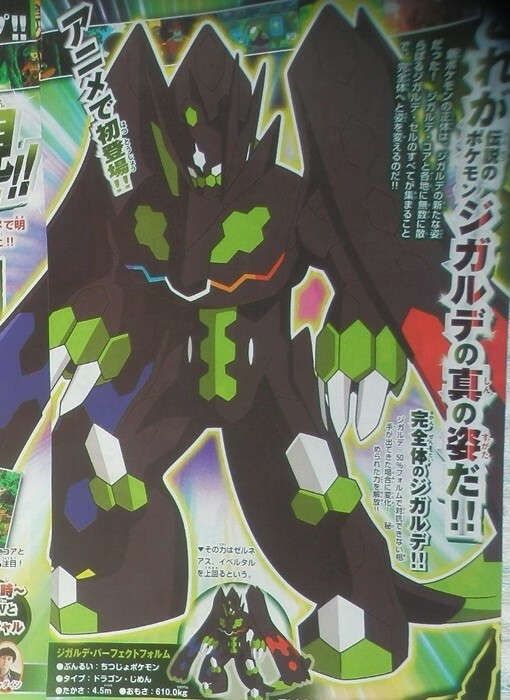 The officially named Zygarde Complete Forme, this is Zygarde when it has decided the environment is facing a threat that it cannot deal with at 50 percent, it gathers all of the Zygarde cells to attain this form. No mention of absorbing Xerneas and Yveltal was made so until further information we should assume that it doesn't pull a Cell/Majin Buu to attain this form. Oh, and Ash Greninja has been detailed as well. This thing is indeed a colour swap, although it mentions that (in the anime) a Pokemon only appears that does this once every few hundred years, so that suggests there might be a special move in the offing for it or something. 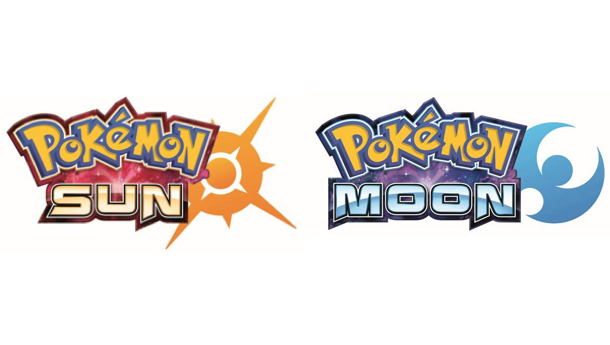 Pokemon "Sun & Moon" versions, complete with pretty swanky logos. Jay will likely say it but Spoiler tag, Athrun just in case. I think we can officially rule out third versions now. 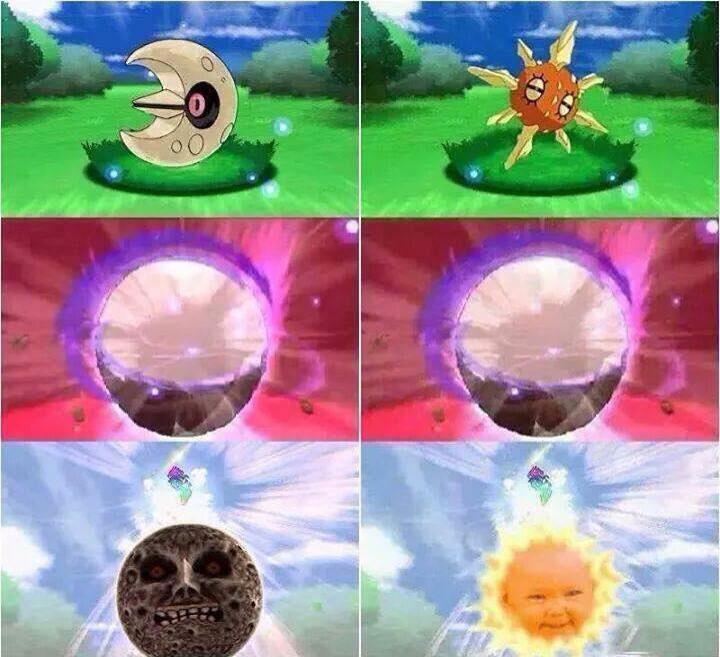 Sun and Moon kill the third version idea. I'll make the necessary changes once the direct goes live or as near as makes no difference, till then I'll leave the title alone to make things less obvious, as tempted as I am to remove the third version from the title right now. I'm a prediction down already if this does indeed come to pass. Well, with the advent of the reveal we now know what the original timeline was referring to, generation seven is upon us and a new region and new Pokemon are on the way! Given that I thought I'd try my hand at spicing things up a bit and see if a talking point could be created. The starter: region real life location inspiration! As we all likely know every Pokemon region has a real life counterpart, with gens one through four being based on parts of Japan, Unova being based on the USA, and Kalos being parts France with other european nations thrown in. So what region do you think, or want, Sun and Moon's to be based on? I'm going to be predictable and go with my home nation Australia. While the place is famous for its outback and hot climate the nation has all sorts, tropics, lush forests, and even a few snowy mountains! Tasmania and cousin nation New Zealand could provide surf routes and yet more terrain locations. From a Pokemon inspiration standpoint the land is lush with world exclusive creatures, many of which being deadly. Kangaroos, koalas, wombats, platypus, stone fish, tiger snakes, and the already used frilled neck lizard, among many many more (especially if you include New Zealand)! Throw in the indigenous culture and you have a extremely rich pool of inspiration to draw a mythos from as well! If the region is a new one, I can think of none better than Australia to be the base! Croydon. Failing that, something like Hong Kong, although I don't know whether a Japanese company would willingly use China (or almost China) as inspiration. From a wildlife perspective, I agree that Australia'd be a good one. You know what I'm excited for, though? Mega Solrock and Lunatone! I'd love them to get actual evolutions, but I don't think Pokémon does that any more. Also maybe Mega Eeveelutions. I actually wouldn't be surprised if it was China, y'know. This game seems to be Nintendo's big gambit to achieve peace on Earth. That is a good shout - the language is in there and it could make for a massive game. My guess? Given that they're called Sun & Moon, it might be set in or around a desert - somewhere that both the Sun and the Moon are big factors, at least, and that's the best I could come up with. If it were a desert, it could make getting to towns a really dicey affair - on that train of thought, I'd like to see the trainer take care of themselves a bit more. At the moment, you look after your Pokémon with the utmost care but has the player character ever had a nap or a snack on any main Pokémon game? Subject: Re: Pokémon Sun and Moon: Now in Ultra Flavour!